When marital problems develop, a couple might decide it’s best to go their separate ways. In doing so, they can simply take some time apart, file for divorce, or choose to legally separate. While most people are clear on what the first two options entail, a legal separation can be a little more confusing. According to the experienced family lawyers at Hodge Law Firm, a legal separation is a binding agreement that comes in the form of a court order. It has many of the same characteristics of a divorce but doesn’t permanently terminate a marriage. The firm’s skilled legal team has helped many London, KY, residents successfully resolve complex issues that arise in domestic relationships. Below, they go over important aspects to understand about legal separation. 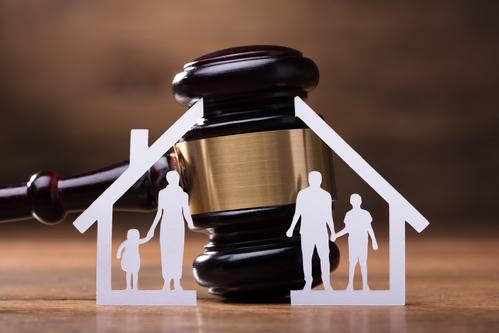 Similar to getting a divorce, couples that legally separate will live apart and must work out matters such as child custody and visitation, child support, alimony, and the division of assets. Although they might come to an agreement on their own, it’s typically best for each party to consult with a family lawyer to ensure both of their rights are preserved. The terms of these arrangements will be officially outlined and enforced by a court order. The biggest differences between a legal separation and divorce are that neither partner can enter into a new marriage and there is no need to get married again should they decide to reconcile. Why Should You Legally Separate? There are several reasons spouses choose to legally separate instead of divorce. They might wish to use the time apart to find out if they want the marriage to end or have religious beliefs that make divorce an unacceptable option. There could also be several financial reasons why staying married is the better choice. If a couple ends up deciding to follow through with a divorce after being legally separated, the process will generally be less complicated. If you are struggling with marital difficulties, it’s essential to understand all of your options before deciding on how to proceed with your relationship. A family lawyer at Hodge Law Firm can help you assess your specific situation, so you can determine the best course of action to take for your future. They will also make sure your rights are protected, regardless of if you decide to legally separate or get a divorce. Call (606) 864-3004 today to schedule a consultation, or visit their website to learn more about their practice areas.